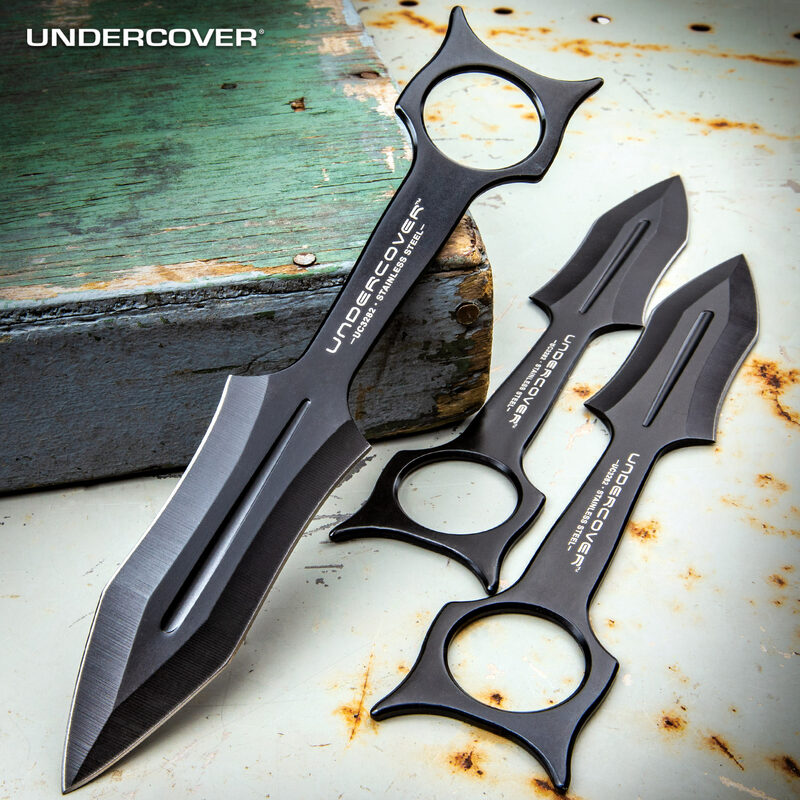 Offering a compact size and discreet carry options, the Undercover Kunai Throwing Knife Set is easy to conceal and offers powerful personal protection that won’t let you down! 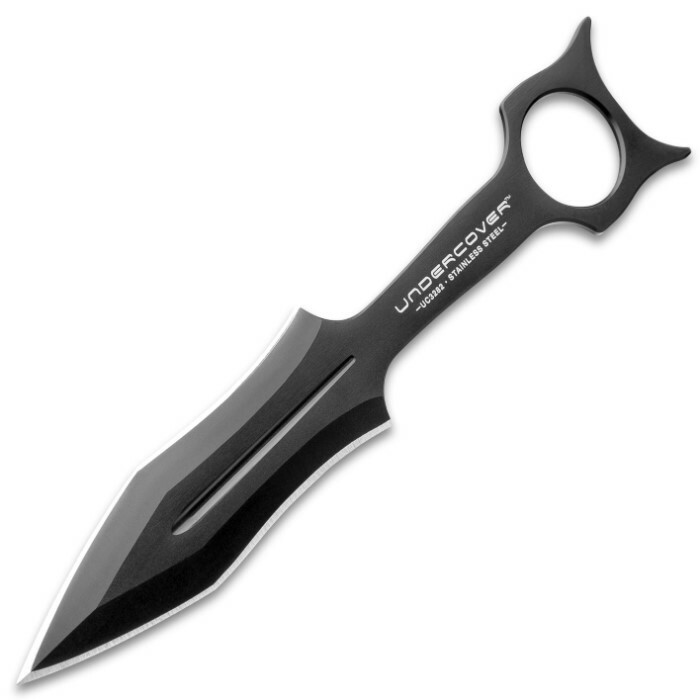 Each of the three knives has a solid, 3Cr13 stainless steel construction with a black satin finish. They feature 3 1/2” razor-sharp blades with deep blood grooves and sharp piercing points. The handles have an open pommel design with two wicked points for an alternative method of defense, when needed. 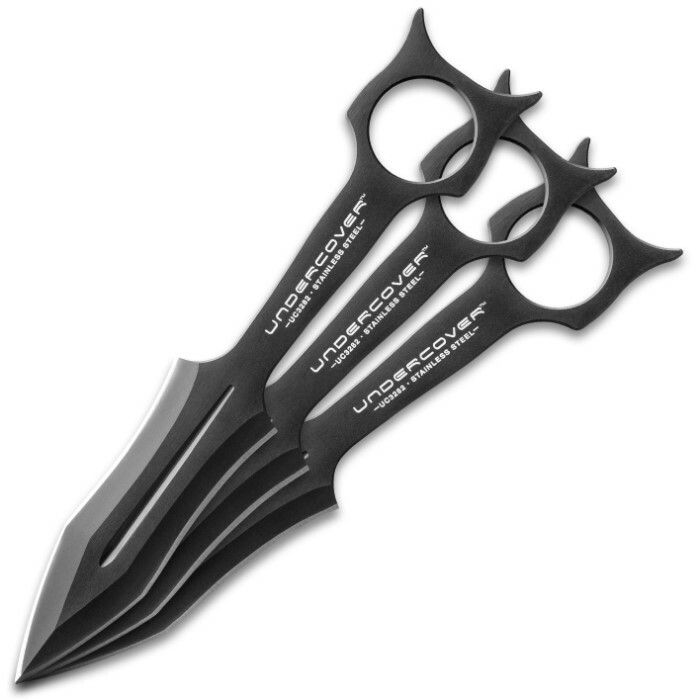 The dual-use design, of these throwing knives, make them the ultimate defensive weapons. The three-piece set fits securely inside of a sturdy nylon belt sheath.